I'm buying my best friends kids age 8 & 9 (who call me uncle) a couple vintage cheap mechanical watches. Had already thought of the idea and seeing this today decided it!! I've been testing my step kids for a few years. They are 12 & 14. Their school actually still teaches analog clock reading in math class in elementary school. That is an amazing video DubyaDubya ! Such a fantastic idea of yours to get those watches like that. for us too. Thanks so much !!! Hey, those are very nice DubyaDubya !! dials, and then they will be enjoying telling time too. Just a footnote from Lou Snutt. analog time pieces. No use for Big Ben? Big Ben is ANALOG!!! both wear analog Tag Heuer Formula Ones. yet another brother is getting an athletic scholarship (Tennis) at TCU. If parents wont teach children they're worse off for it IMHO. Over here it is still part of the regular curriculum. It usually starts at the age of 7. 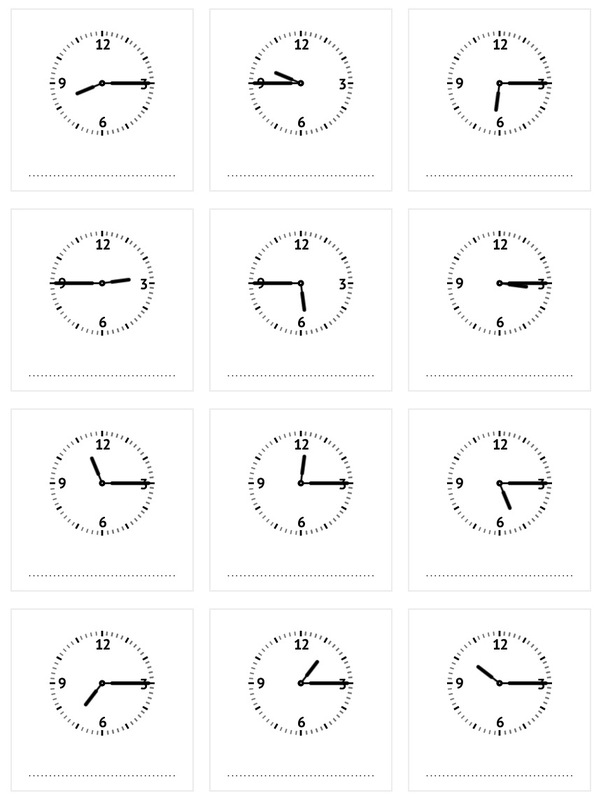 Teachers generate worksheets online (see below) where the children can write down the time beneath each clock. They start with hours only and work up to minutes, my example is for quarters. My wife and I had to take matters into our own hands on this, no help from the school, at least not early enough, imo. Though giant analog wall clocks do remain in all classrooms at their respective schools. I like the colors and sub Dial's. Tell them to be gentle on those old mainsprings. Better underwound than over. Two more WIS in the making. Finnish children have NO homework. smart children. That is Finland's natural resource. Appearently Dutch children as well!!! One of the US political leaders didn't know what a Bar Code was! USA has so many functionally illiterate people. What is the Dewey Decimal system?